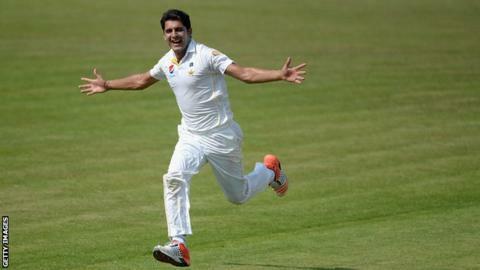 Pakistan left-arm seamer Mir Hamza is set to play in Sussex's County Championship opener on Friday after his arrival at Hove was brought forward. Hamza, 26, was initially due to join the Division Two side in time for their fixture at Northamptonshire on 20 May. But he will now be available for 11 Championship games, a tour game against Australia A and the entirety of their One-Day Cup campaign. His final match with Sussex is expected to be away to Lancashire in July. The Karachi Dolphins paceman made his Test debut in Pakistan's 373-run win against Australia in October, and has taken 282 wickets in 59 first-class matches at an average of 18.34.